Friday and Saturday is the 8th Annual Jazz & Blues in the Village at the Lochiel Kiwanis Centre. Come on out, listen to some great tunes, have a drink and enjoy some face & body art at our booth! We are VERY excited to announce that for Sundays in September The Painted Cat will be painting faces for FREE at Boston Pizza from 5pm-7pm. Come on out and enjoy some delicious food (kids meals for just $3.99) and colourful fun this Fall! Powerboat Races at Centennial Park! Check out some of these great shots from the International Powerboat Races that were held at Centennial Park this weekend. Thanks to everyone who came out to the Artist Showcase. We had a blast! Next up is Skate Jam Saturday, August 13th at Tecumseh Park! We have a new Studio Location!!! After such a successful Bayfest collaboration, Impulse Hair Group has invited The Painted Cat to have a studio space at their salon! The studio will be getting a makeover during the month of August so stay tuned for before & after pics! We will be open Tuesday, Thursday, Friday & Saturday by appointment starting in September 2011. We can’t thank the fine people at Impulse ENOUGH for this amazing opportunity!! Also thanks to Ian Alexander of Rocketship Productions for featuring this exciting news on his new online video series Hello Rocket! Check it out! 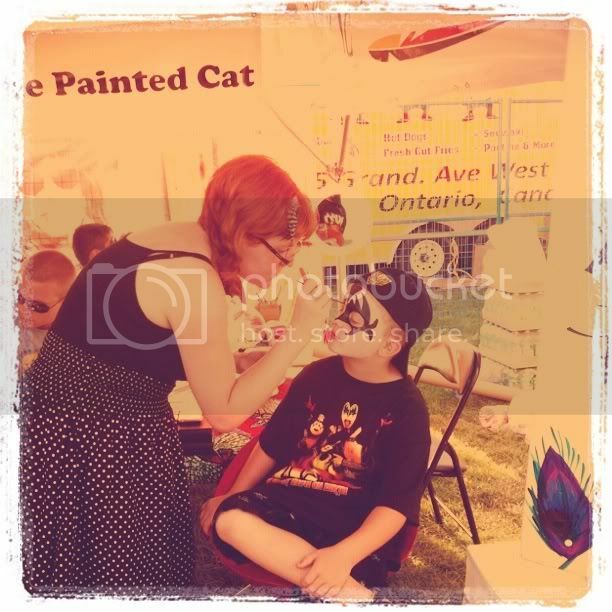 The Painted Cat will be at The Rustic Gate in Point Edward Saturday July 23rd from 12-4pm doing face & body art during the Mackinaw Boat Race Festival under the bridge! Come out and see us! Also the colouring contest is still on until the end of July! Winner gets a free henna tattoo or facepainting! 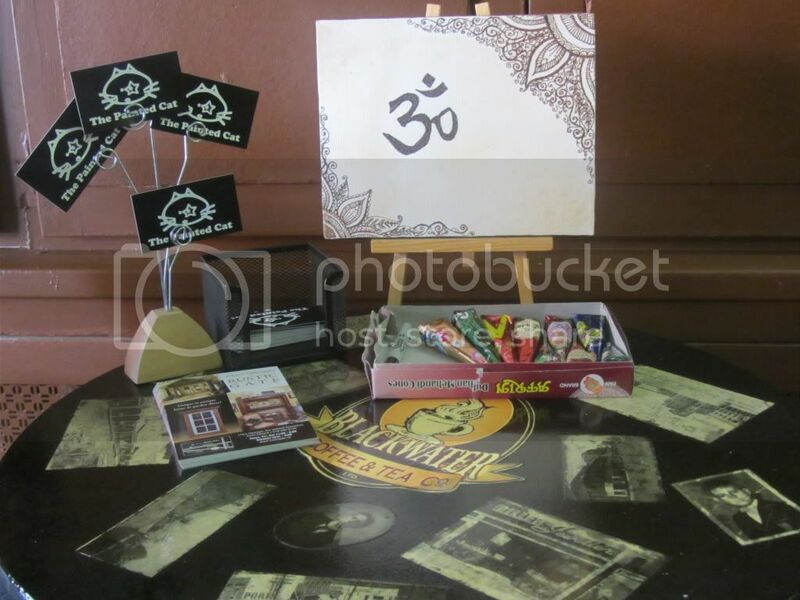 You can pick up a sheet anywhere you see The Painted Cat’s booth at a festival. We have some fun ones coming up in August too! More to be announced on those details next post. Keep cool this weekend and hope to see your smiling painted faces today! We are at 300 fans on facebook now! Once we get to 500, we will be make a VERY special announcement SO share the page with your friends and family! Bayfest Rock Weekend a Complete Success!! What an amazing week of great people, music and face & body art at Centennial Park! 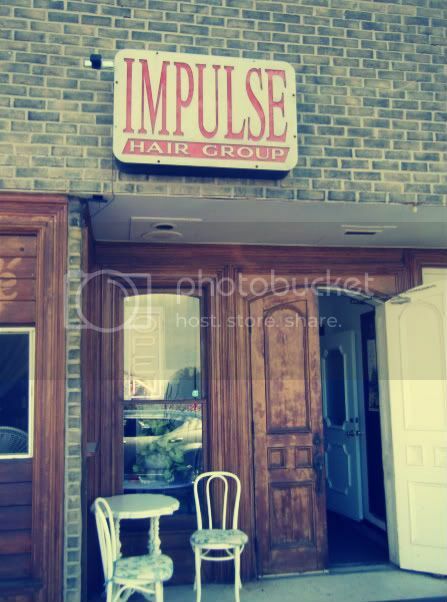 IMPULSE Hair Group was nice enough to share their tent with us and fun was had by all! Click on the pic above to see some highlights from the festival. Up next, Country Bayfest weekend! This is proving to be a very busy and exciting summer for The Painted Cat! Thanks to everyone that came out! 1st night of Bayfest – get KISSed! Come check us out under the Impulse Hair Group Tent inside the Bayfest grounds at Centennial Park for all your KISSifying needs!! 2 years ago when KISS came to town, the Bayfest Biggest Fan Winner had a chance to meet Gene Simmons! This year the Look-a-like contest winners not only won VIP tickets for every show but one of them was also featured on the Bayfest Float! We’re proud to say that all these winners were KISSed by The Painted Cat! It’s always fun when KISS comes to town, who knows what will happen this year…See you at Bayfest! We had a blast this past month at some super fun festivals including Artwalk, Kidsfest and Ribfest ! Not to mention some great Birthday parties, Fundraisers and School Funfairs. If you have any pictures from these events featuring The Painted Cat please email them to thepaintedcat@hotmail.com and we will add them to our site! Also if you’re not a fan already, add us on Facebook. Once we hit 500 fans we will be sharing some very exciting news! 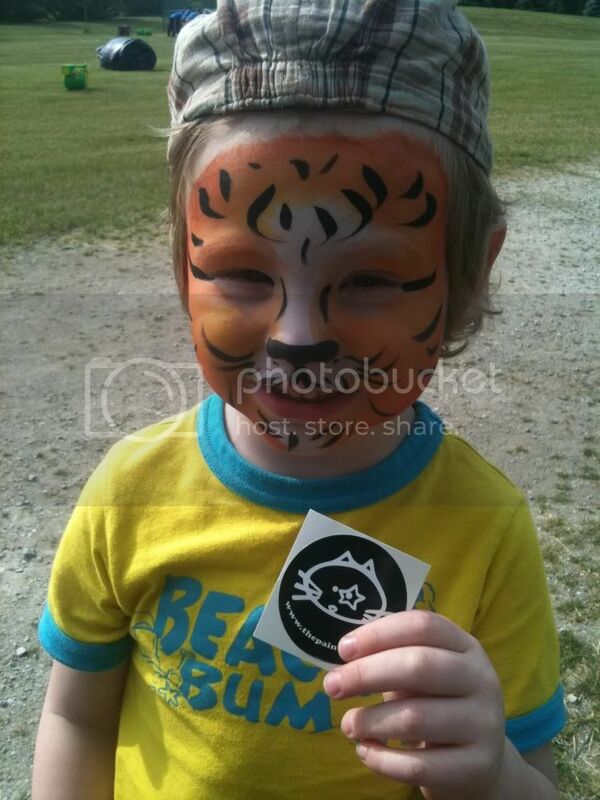 To view our online gallery just click on the cute lil tiger above! Also there are some very exciting events coming up in July. Check out the Events section for details!